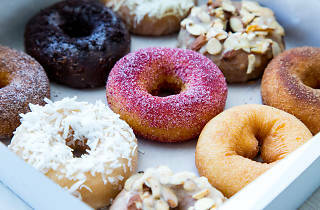 If you've been hunting through the city’s best bakeries and coffee shops for the best donuts in NYC, look no further. 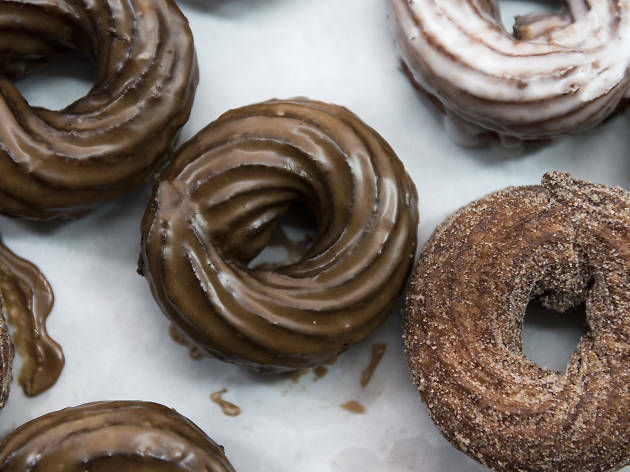 We've compiled a handy list of where to find the city's most exemplary fried rings, from halva-capped rounds doled out of a West Side Highway car wash to brioche-based treats from the brick-and-mortar offshoot of a beloved online bakery. 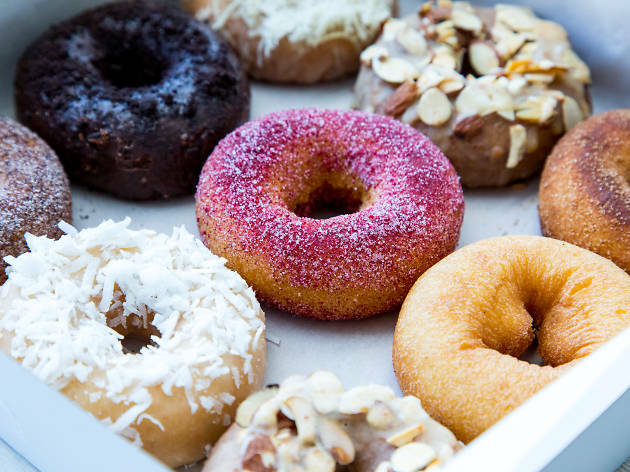 Feast your eyes on some of the best breakfasts, er, best desserts in NYC. 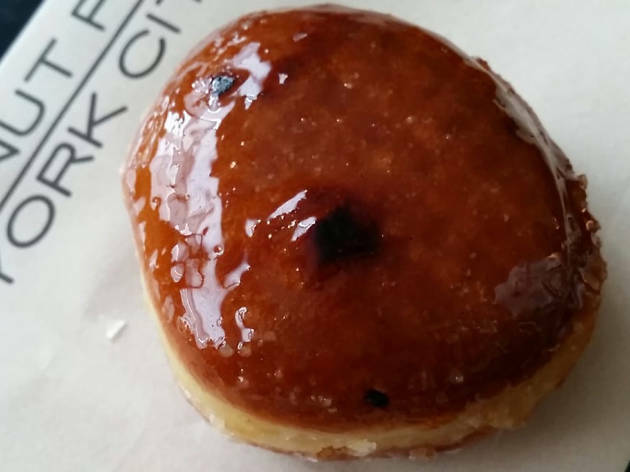 This pocket-sized doughnut dive wedged inside a car wash churns out old-fashioned, cake-style coffee dunkers. An automatic Donut Robot fries and cools the rings behind a glass wall as cars roll through the suds cycle. 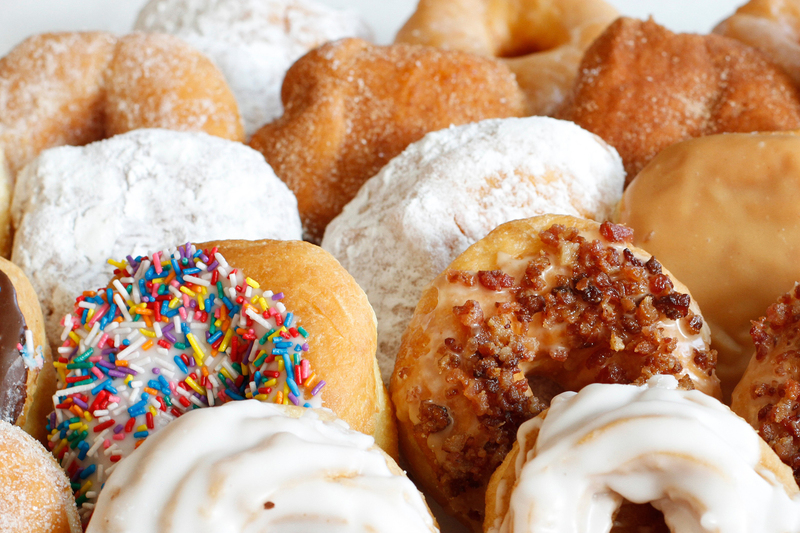 Choose from sugared, glazed or plain pastries in flavors like brown-butter, cocoa-raspberry, lime-coconut and even a shredded halva-topped number to be paired with Counter Culture coffee and espresso drinks. The tiny, subway-tiled space hits the nostalgic Americana mark, with six seats at the counter and a retro marquee menu displaying daily offerings. The owners of Choice Greene and Choice Market in Brooklyn are behind this ten-seat Bed-Stuy café. 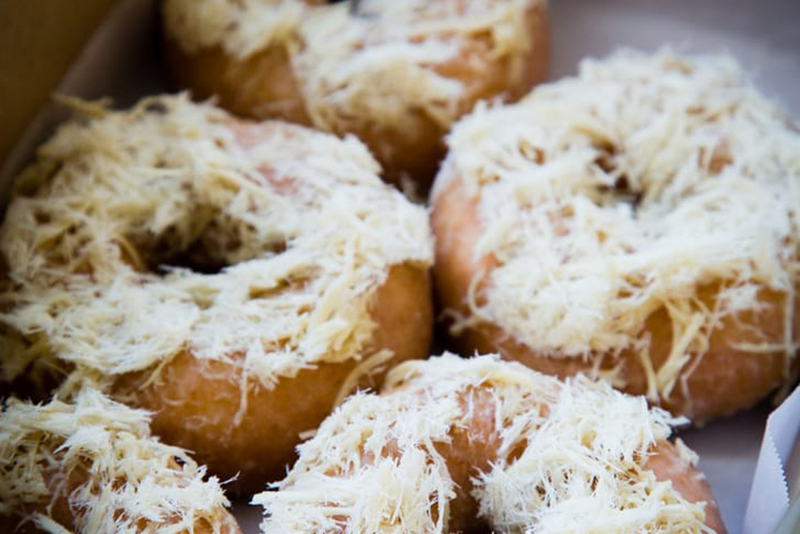 Nibble on pillowy, freshly fried yeast donuts (dulce de leche, passionfruit, salted chocolate caramel) and sip Stumptown coffee at the bar (fashioned from a recycled door) while watching bakers roll out the goods in an open kitchen. 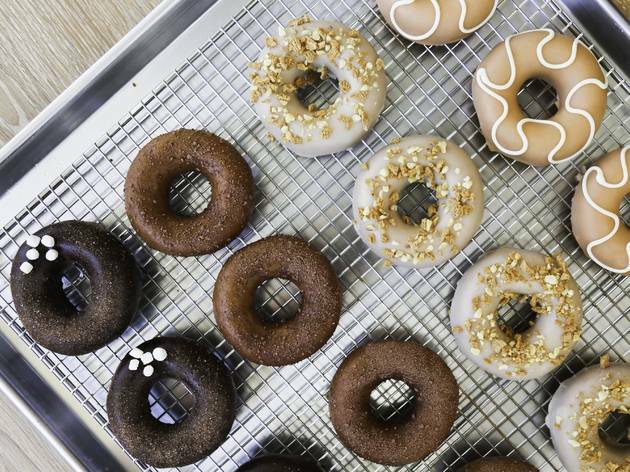 Despite the neighboring Dunkin’ Donuts, caffeine addicts and sugar jonesers beeline to this Kennedy-era institution for their daily fix. 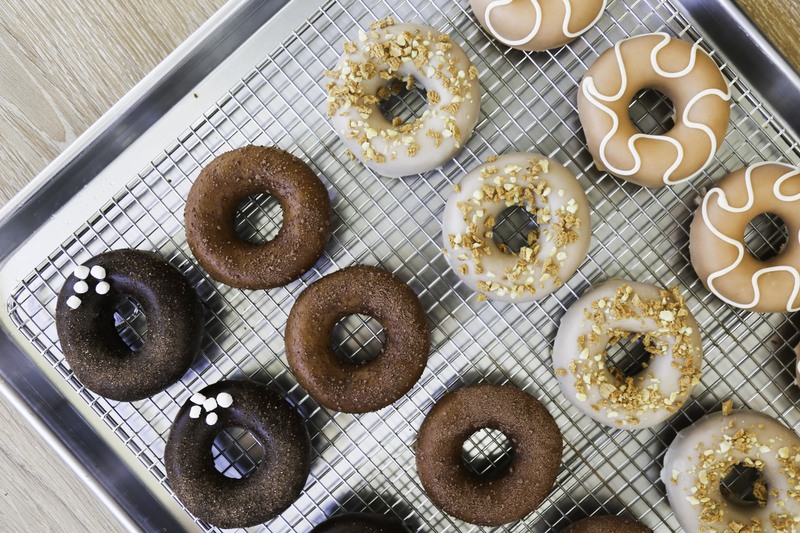 Lit by neon lettering and open 24 hours every day, the retro bakery offers palm-size apple fritters, honey-dipped yeast doughnuts and Boston creams lacquered with chocolate icing any time of day or night. 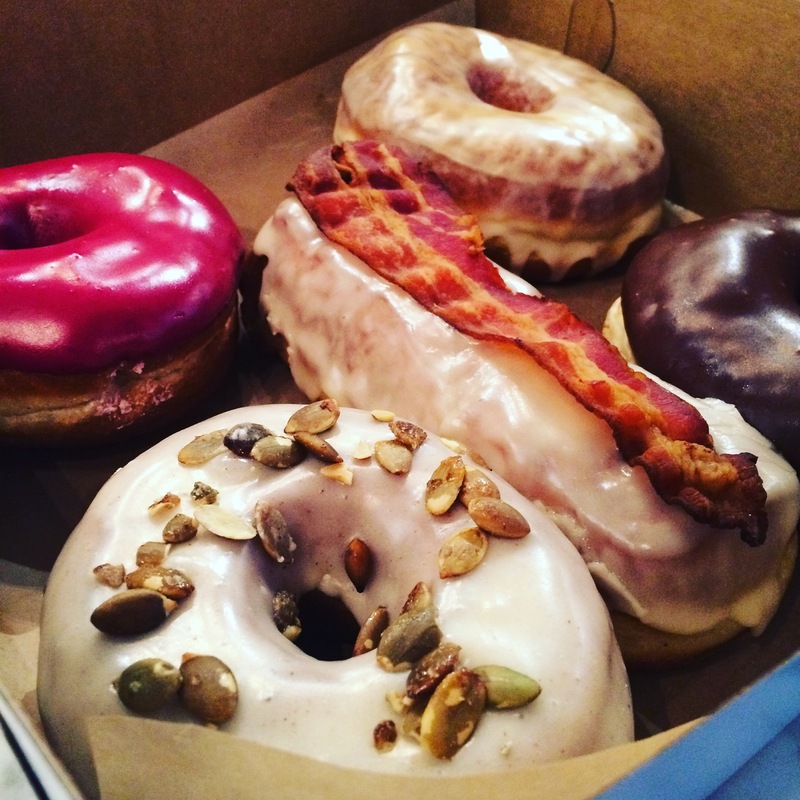 This quirky and inventive donut shop is best known for its unique square donuts stuffed with house-made jams and cream fillings (peanut butter banana, coconut cream). 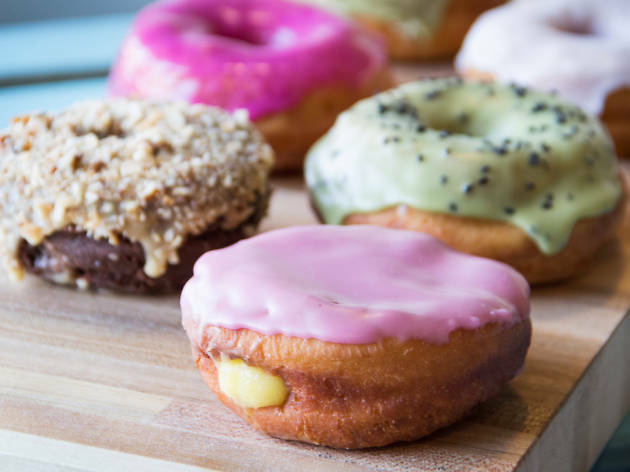 But bakers here also sling chubby yeast-raised rings that are fluffy yet substantial and glazed in rotating flavors (pistachio, strawberry, vanilla bean, Valrhona chocolate), plus cake-style donuts like Brooklyn Black Out and carrot cake. 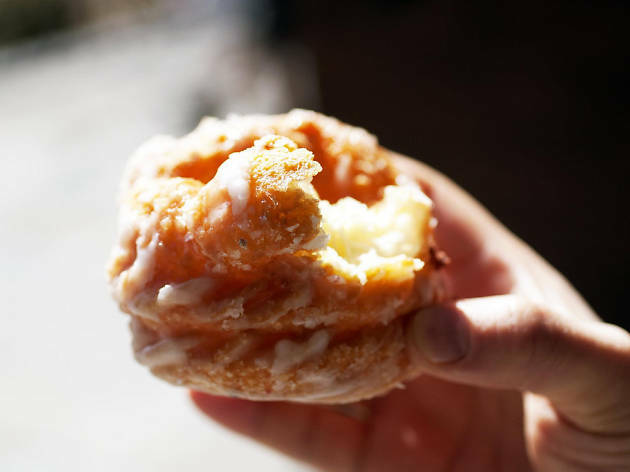 Since 1961, the original Leske’s has been baking old-world favorites (Scandinavian kringler, Vienna brøt, Irish soda bread) and New York City classics (Brooklyn blackout cake, black-and-white cookies) in Bay Ridge. 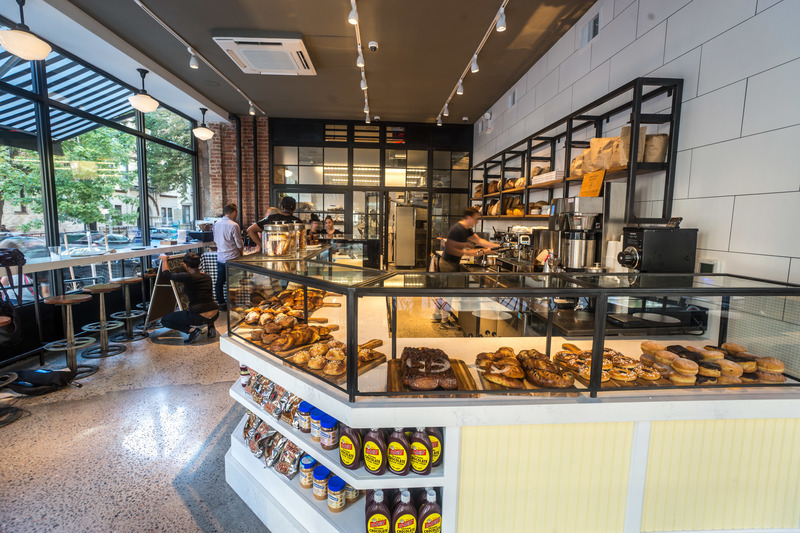 A year after shutting down in 2011, the bakery bounced back to life with new owners—Steven DeSimone and Kenny Grande—who expanded the enduring bakeshop with a South Slope location. 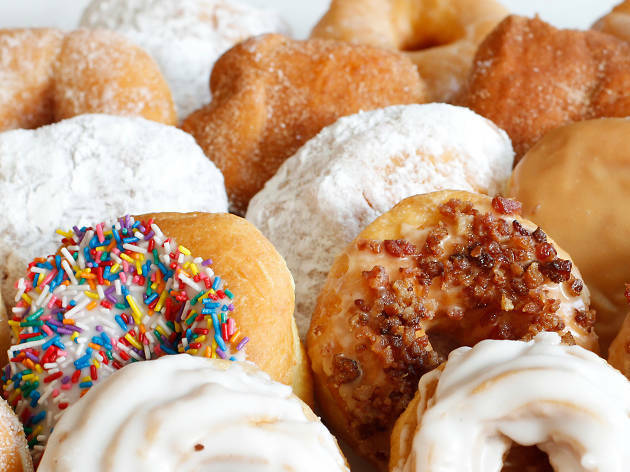 The store boxes up the same spread of Danish pastries, butter cookies and red-velvet checkerboard cakes, as well as specials like homemade takes on Hostess's defunct Twinkies and squiggled CupCakes. 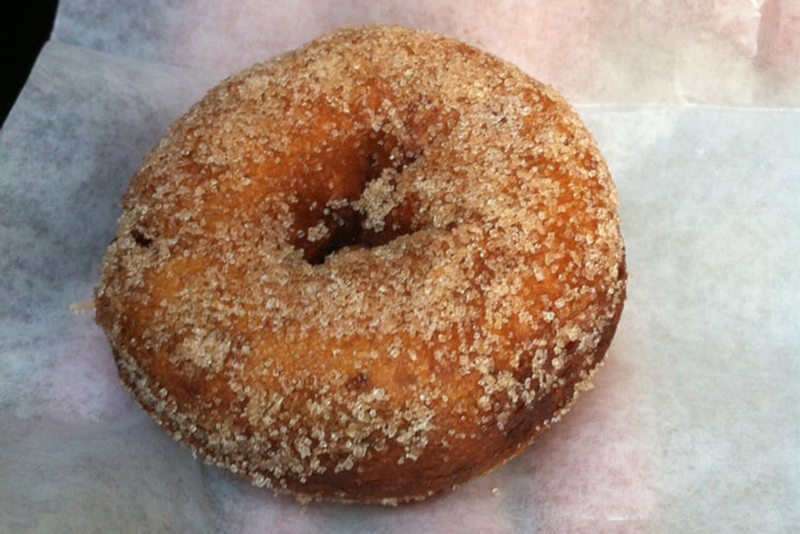 Find small-batch, hand-made yeast donuts in oddball flavors at this West Village bakeshop. 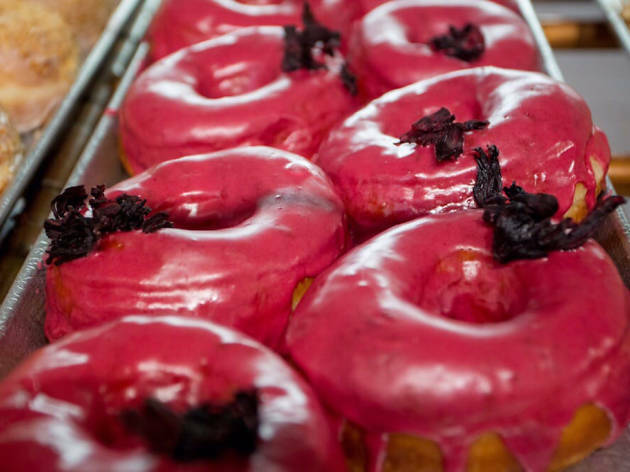 The creative, fluffy rounds include a beet-glazed and ricotta-whipped cream–filled Those Beetz are Dope, and a sweet-and-savory yeast ring showered in cream cheese icing and everything bagel seasonings. 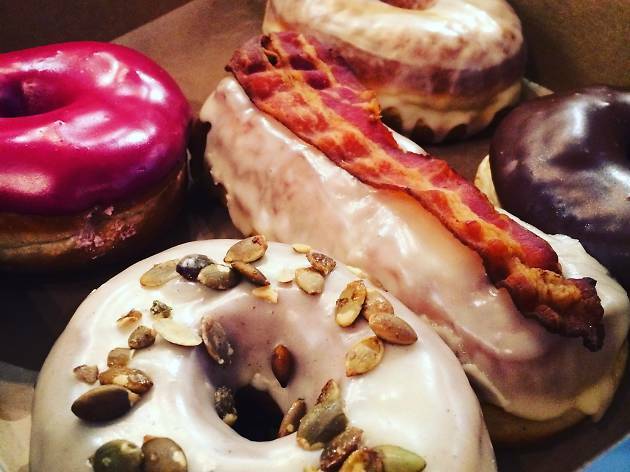 There's even a donut stuffed with bone-marrow–infused chocolate on the menu. 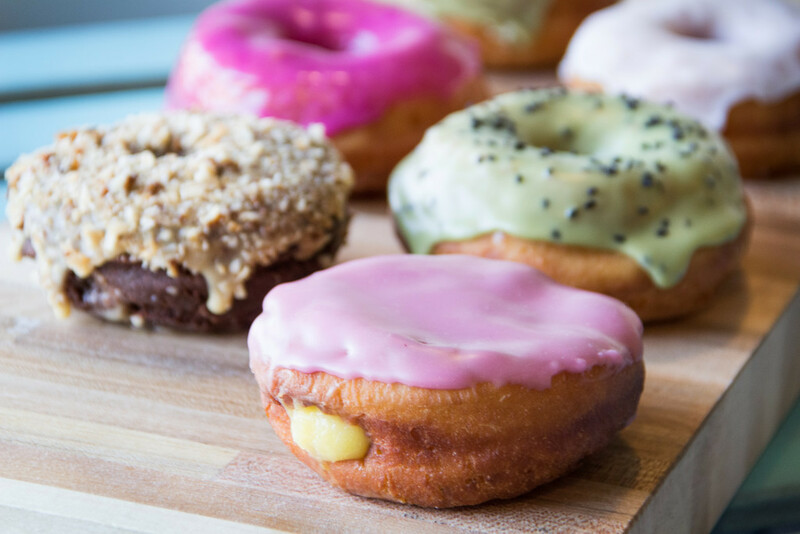 Cult-favorite chef Wylie Dufresne (wd~50, Alder) returns to his sweetooth roots with this café churning out plump, New England-style cake donuts in eye-catching glazes and a daily rotation of madcap flavors like pomegranate-tahini, ginger-matcha, and Nutella cherry. 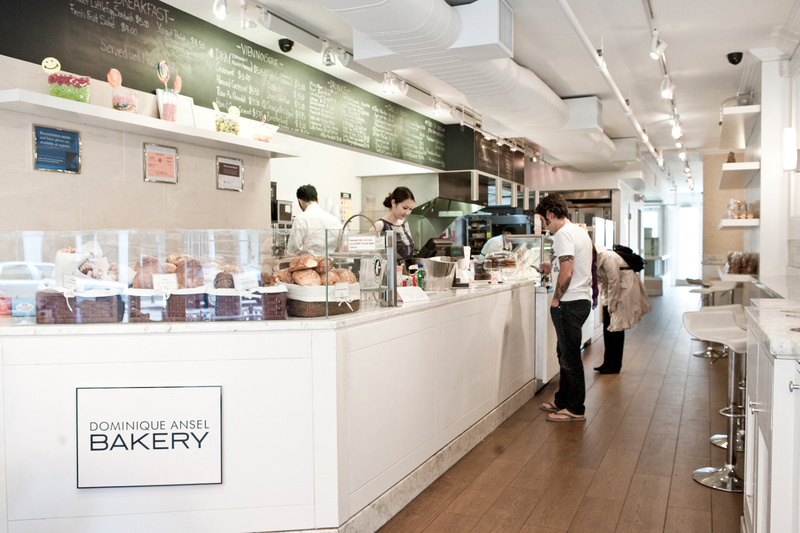 Dominique Ansel honed his skills as executive pastry chef at Daniel for six years before opening this American and French patisserie. 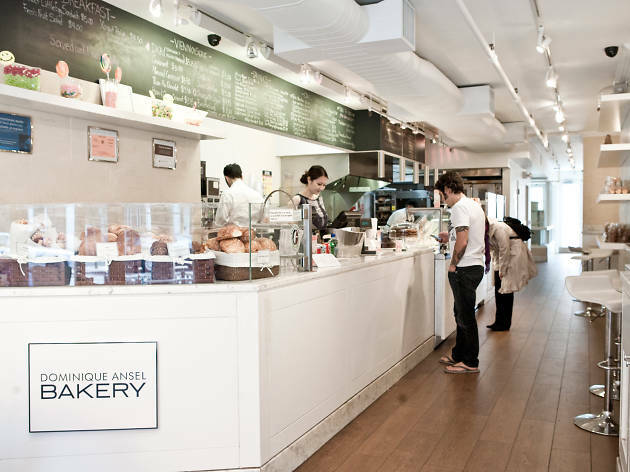 Caramelized croissants, miniature pastel meringues and the chef's signature Cronut (croissant-doughnut hybrid) creations make up the sweet selections at the counter. Next door to the ever-popular Union Square Café sits this small café sister issuing out Joe Coffee (the group recently invested in the java chain) and house-baked breads (caraway rye, a house miche) and pastries (crullers in cinnamon-sugar, maple or original glaze) courtesy of pastry chef Daniel Alvarez. The intimate space operates mostly as a takeout spot but there is a handful of high-top tables if you want to tuck in on site. 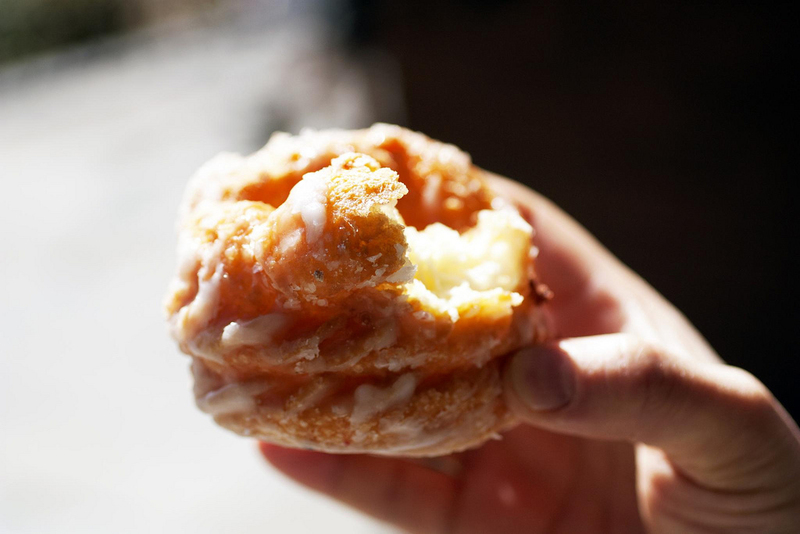 Having developed a following of carb-loving devotees with his Hell’s Kitchen flagship, acclaimed dough puncher Jim Lahey brought his superlative breads to Chelsea with this wood-laden spin-off in July 2012. 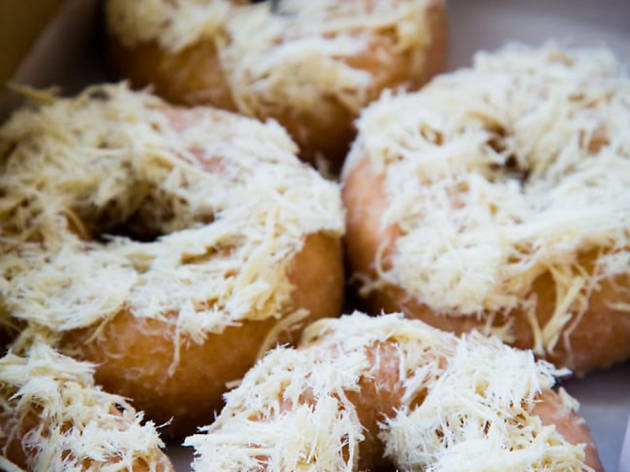 The showstopper on the menu is an airy bomboloni, a soft yeast round filled with super light vanilla-bean custard, flecked with lemon zest and sprinkled with powdered sugar. When Keith Cohen bought this bakery from its founding owners a few years back, he wanted to expand on the century-old kosher spot’s old-world reputation by producing cutting-edge artisan breads. 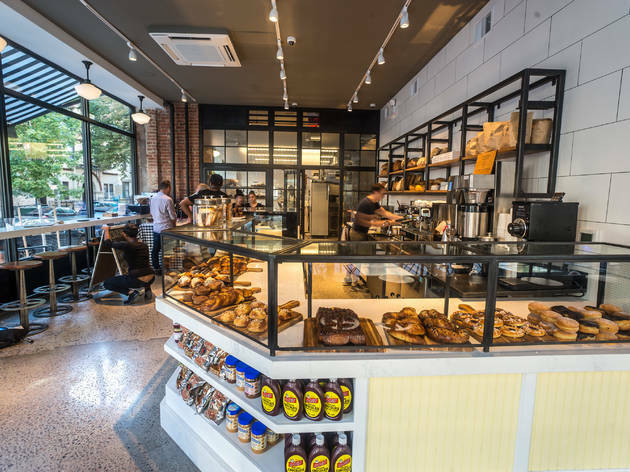 While he still makes Orwasher’s famous Jewish rye, Cohen has remodeled the tiled-floor shop into a sunlit café, and now sells crusty European-style loaves and rustic “Artisan Wine” bread made with natural yeasts found on the grapes at Long Island’s Channing Daughters Winery. 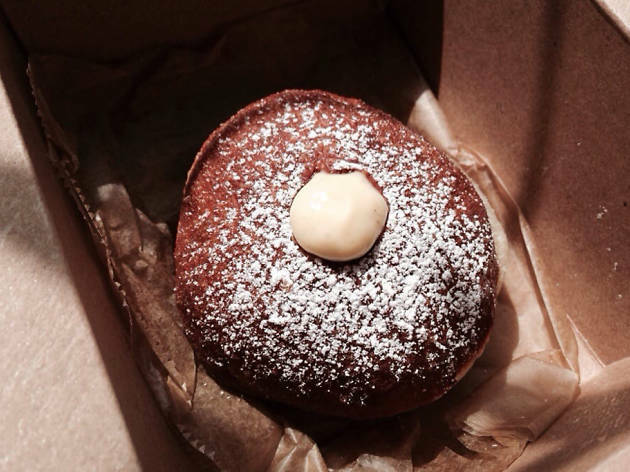 You’ll find doughy fritters, not Tinkerbell, at this Greenpoint standby. 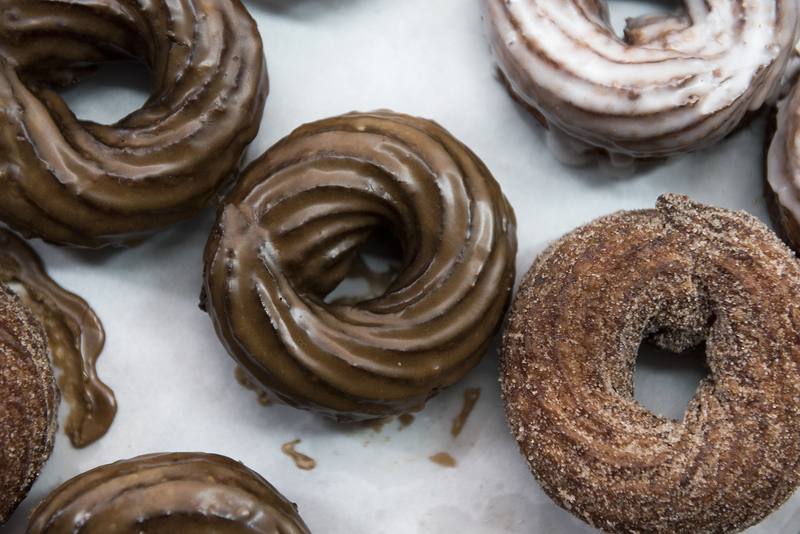 Dip your lightly glazed donut into steaming coffee at the curved counter or box up a dozen still-warm chocolate cake rounds and black-raspberry jellies — just some of the 20-odd varieties baked daily. 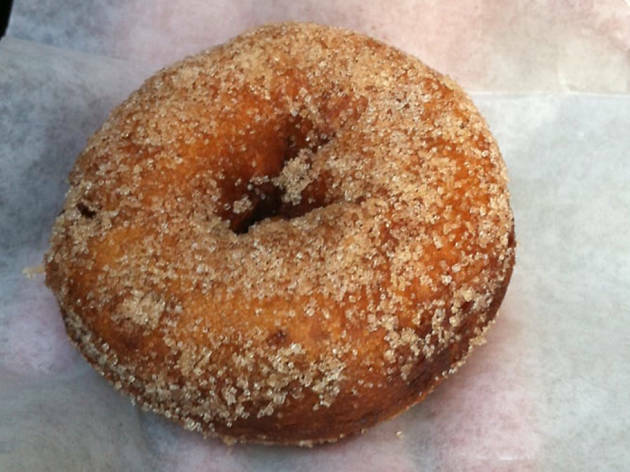 Andrew Bozzo goes all-natural at this roving food truck with his apple-cider donuts, using locally sourced cider and organic flour. 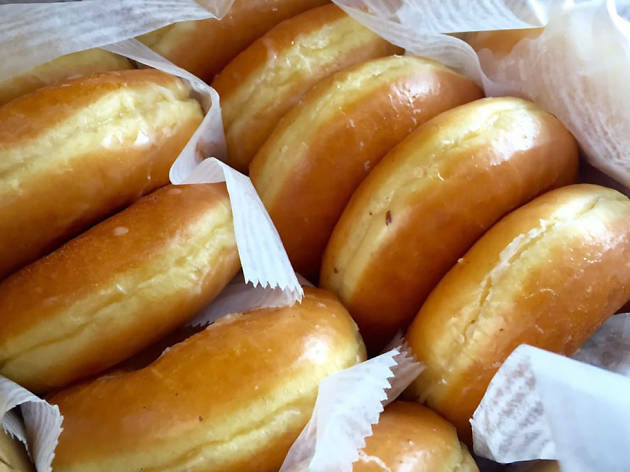 Get them plain or as an ice cream sandwich. Bozzo also serves cioccolata (Italian hot chocolate) and hibiscus iced lemonade.